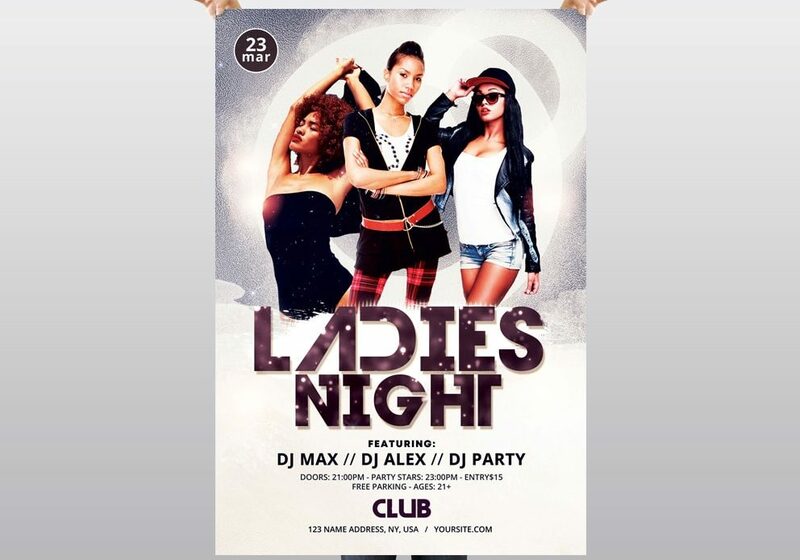 Download Ladies Night PSD Flyer Template for Free. This Free PSD Template is suitable for any Ladies Party, dj or other events. PSD File is in print ready horizontal with CMYK color for print. You can easy edit size or any object in this flyer. Image models are not included in PSD file. They are only for preview. In help file are links from gettyimage to purchase them.